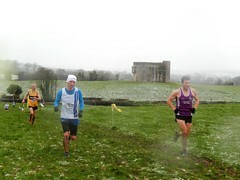 On Tuesday, December 16th, Moyglass AC will host cross country races for under 6, 8, 10 and 12 (girls and boys). This is a fun competition between Moyne AC,Coolquill AC and Moyglass AC. It starts at 7pm but we are asked to be there by 6.45pm. The venue is the Sports Complex in Moyglass where the races are outdoors under lights. From Killenaule head towards Fethard, follow the sign to the right for Moyglass and when you get to Moyglass turn right and the Complex is to your left.